This book's organizing principle is the interplay between groups and rings, where “rings” includes the ideas of modules. It contains basic definitions, complete and clear theorems (the first with brief sketches of proofs), and gives attention to the topics of algebraic geometry, computers, homology, and representations. 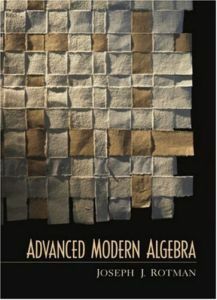 More than merely a succession of definition-theorem-proofs, this text put results and ideas in context so that students can appreciate why a certain topic is being studied, and where definitions originate. Chapter topics include groups; commutative rings; modules; principal ideal domains; algebras; cohomology and representations; and homological algebra. For individuals interested in a self-study guide to learning advanced algebra and its related topics.